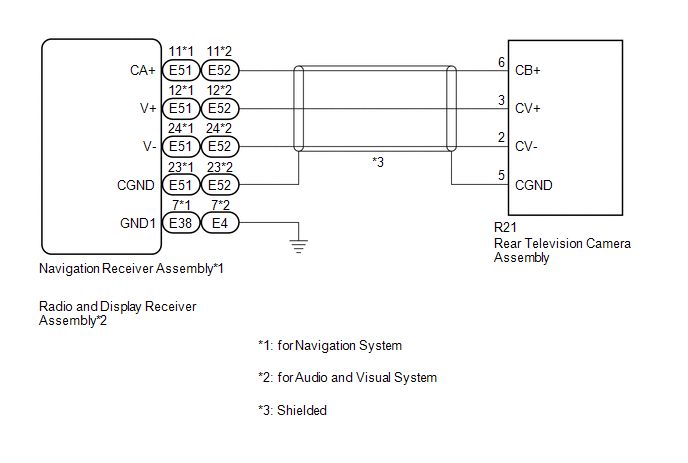 This DTC is stored if the navigation receiver assembly*1 or radio and display receiver assembly*2 judges that the signals or signal lines between the navigation receiver assembly*1 or radio and display receiver assembly*2, and the rear television camera assembly are not normal as a result of its self check. 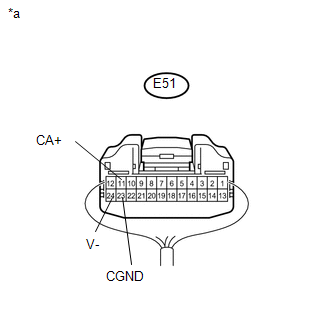 (a) Disconnect the E51 navigation receiver assembly connector. (b) Disconnect the R21 rear television camera assembly connector. (a) Reconnect the E51 navigation receiver assembly connector. (a) Reconnect the R21 rear television camera assembly connector. 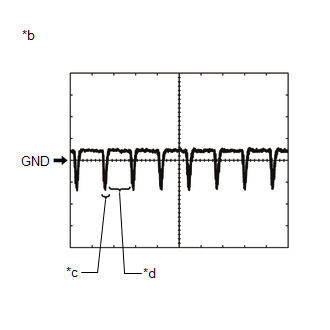 (b) Using an oscilloscope, check the waveform of the rear television camera assembly. 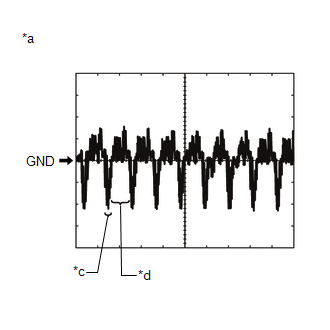 Waveform is similar to that shown in the illustration. (a) Disconnect the E52 radio and display receiver assembly connector. 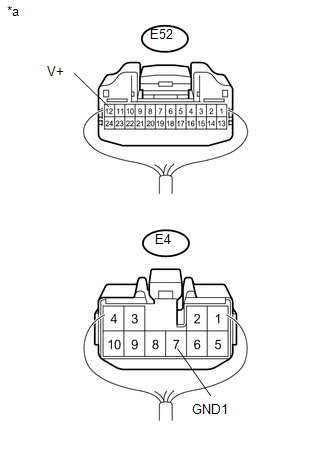 (a) Reconnect the E52 radio and display receiver assembly connector.